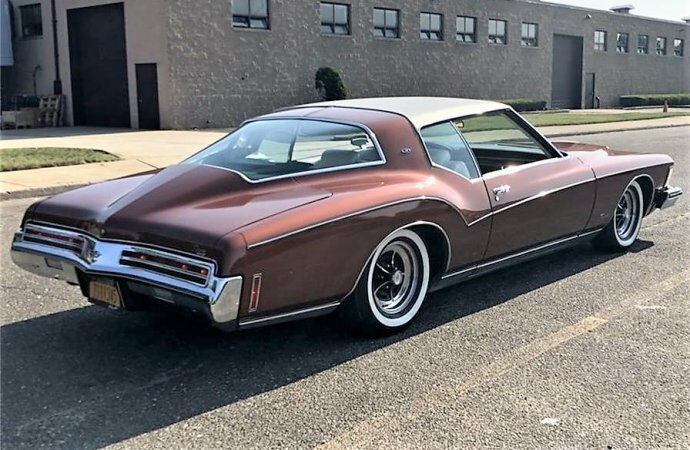 The luxurious Buick Riviera was an immediate hit when it arrived for the 1963 model year as GM’s response to the four-seater Ford Thunderbird, with evocative Euro-styling that’s still highly appealing today. GM’s design chief Bill Mitchell wanted to recapture that magic with the dramatic ’71 model, created by Jerry Hirschberg (later Nissan’s head of design), who accentuated the stretched-out body style with a boldly tapering roofline that extended to a near-point at the middle of the back bumper, with an almost-horizontal rear window. Naturally, it was nicknamed the Boattail, a retro reference harking back to sporty pre-war cars, exemplified by the iconic Auburn Boattail Speedster. The Riviera’s front was kind of pointy, too, while chrome trim along its flanks outlined the curvaceous styling. Riviera’s new look continued only through 1973. Although the boattail styling appears intriguing today, it was not a big success at the time, with Mitchell opining that perhaps it was too extreme for the buying public. 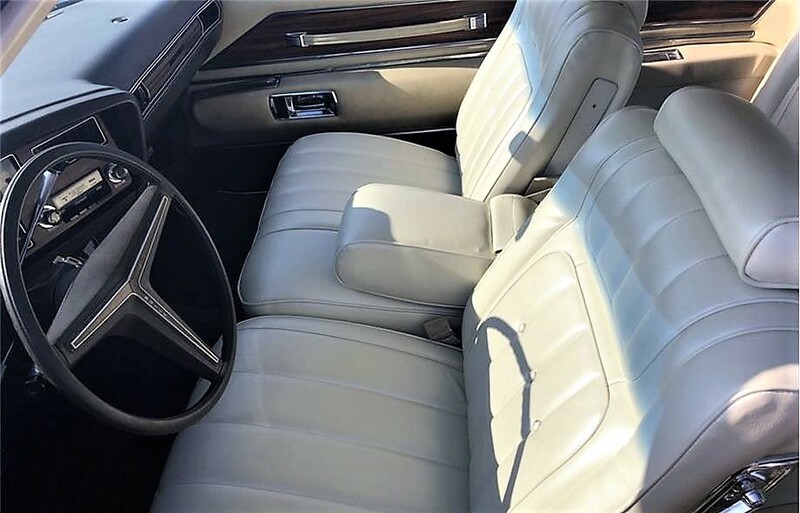 The Burnt Coral Irid paint is in fine condition, and the white interior is in beautiful shape, the seller adds, with full power features and the original radio with a working 8-track tape player, although a custom sound system with Bluetooth has been added. The car sits on Coker classic whitewall tires fitted to factory Buick rally wheels. 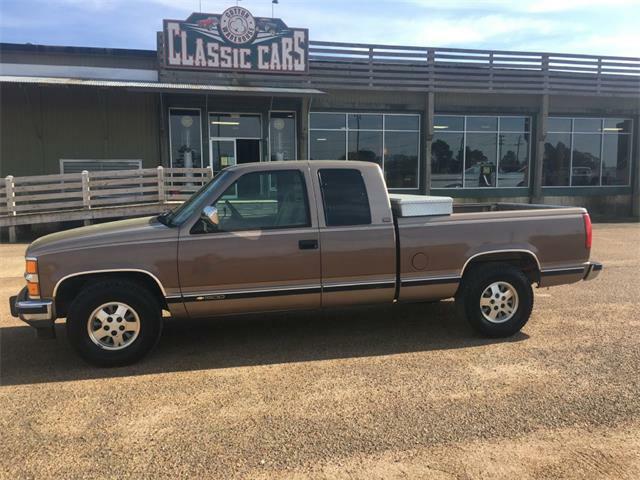 Power is provided by the original 455cid big-block V8 and automatic transmission. Despite the massive size of the Riviera, it should still move out nicely with that torque monster under its hood. 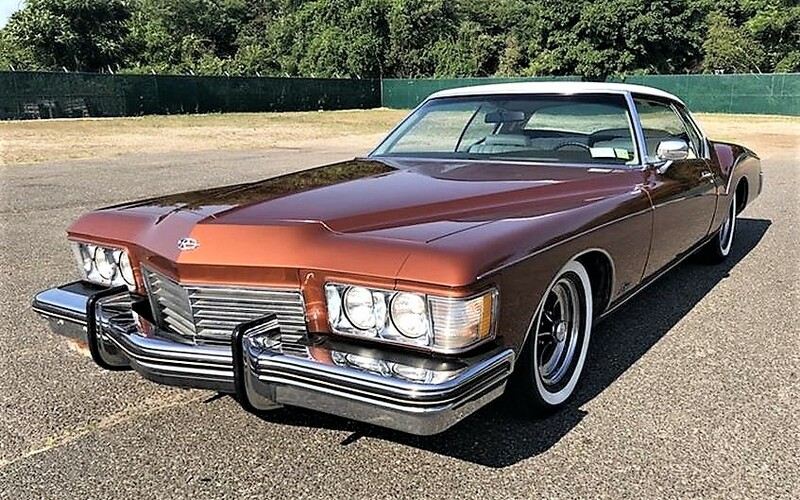 One of the most stylish cars of its day, the Riviera is priced at $24,900 for this well-kept survivor. Do you have anymore photos ? Do you have original purchase sales info. ? 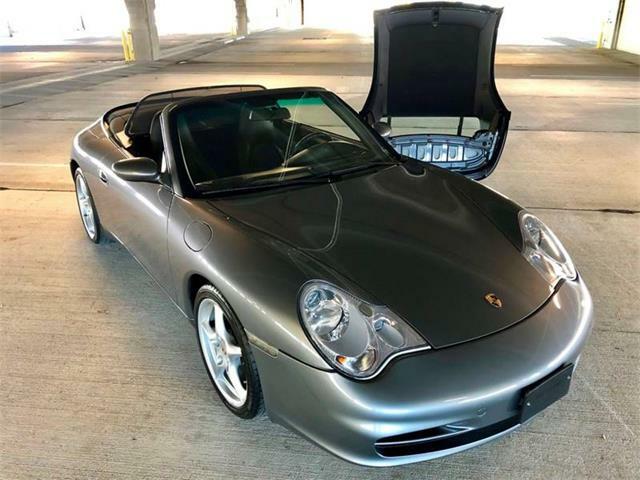 Body, Engine & Interiors photos ? Where is the car located presently ? Mr. Golden, Are you interested in trading for a 1994 Buick Roadmaster Estate Wagon , 49xxx original ALL OPTION LT1 350 , ice cold air, New tires & battery , Burgundy w/ burgundy leather interior , power front seats , twilight sentinel, premium sound factory CD , power mirrors,windows , still has factory carpet protective plastic on third row seating , moonroof w/ dual shades , all eyes on at car shows ! Fantastic load leveling system ( factory equipment) drive anywhere in total comfort ! Just back from Ohio & Oklahoma . Service records available.